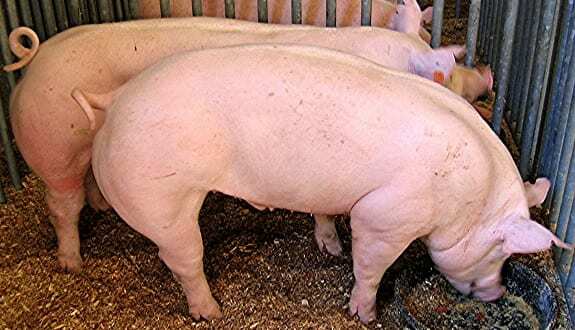 North Carolina’s 600 kilowatt (KW) swine waste to energy (W2E) plant located near Bladenboro, NC, is the largest in the state and after being close to continual operation since early October of last year, the facility is finally functioning at full capacity and, according to Storms Hog Power (SHP), the plant has maintained peak or near peak output for the past three months. The waste management system produces renewable energy and other important byproducts. Dr. Garth Boyd, the senior partner of The Prasino Group, and Sam Ravenel, the co-founder of Withers & Ravenel consulting engineers, applied for a grant back in May 2010 that was given by the NC Department of Energy, for renewable energy pilot projects involving four swine farms. The Storms project was developed by AgPower Partners LLC (APP), which was formed by Dr. Boyd and Jeffery R. Smerko, an energy and real estate developer. SHP is a renewable energy generating system and anaerobic digester that works in tandem with an enhanced animal waste extraction and collection system, which utilizes scrapers in place of flush water to extract manure from the houses. This process is better for the environment than the present lagoon and spray field manure management systems. In addition to the system being cleaner, it also generates valuable byproduct and profitable alternative energy. Manure from thousands of hogs is used in the waste to energy process. The way the system works is manure from almost 30,000 hogs is collected every day and it is combined with off-site agricultural wastes that were meant for a landfill. This waste decomposes in a 1.2 million gallon reinforced concrete vessel that is oxygen free. The bacteria present in the digester breaks down the streams of organic waste metabolically and produces biogas that destroys almost all odor and pathogens. The biogas creates renewable power, which is sent to the local utility, offsetting the energy use of practically 300 standard sized homes in the region. All of the electricity generated by the waste to energy plant is purchased by North Carolina Electric Membership Corporation. The maintenance and operation of the facility is taken care of by this revenue, as well as from the sale of the Renewable Energy Certificates, carbon credits, the sale of other byproducts and the tipping fees for off-site agricultural waste processing.